Welcome to Little Champs :-We give the opportunities to experiment the ideas and have new experiences. This is the best time to focus on developing the overall personality. Experienced teachers are our biggest strength. The best selected staff is further trained by a panel which makes Little Champs so unique .Play is the work of the child. Play activities are essential to healthy development for children and teenagers and Learning cannot be limited to the classroom. It has to be beyond it. We strive to bring the outside world inside the classroom as much as possible by creating an ambiance of learning by Playing. Creative Ideas:-Creativity will blossom with the help of music, dance and colours. The child is given a platform where his/her imagination is not only encouraged but also appreciated. 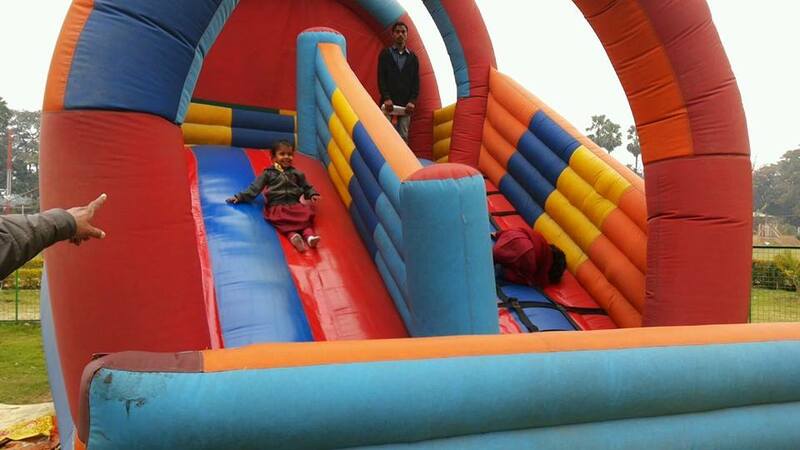 Innovation:-The entire school has been divided into fun learning zones. Dolls-house, Sand-pit, Puppet Zone, Computer Center, Puzzles Room and a lot more are used for the all-round development of children. Physical Development:-A wide range of interesting activities has been carefully planned to development of children, gross and fine motor skill in their indoor and outdoor physical environment.